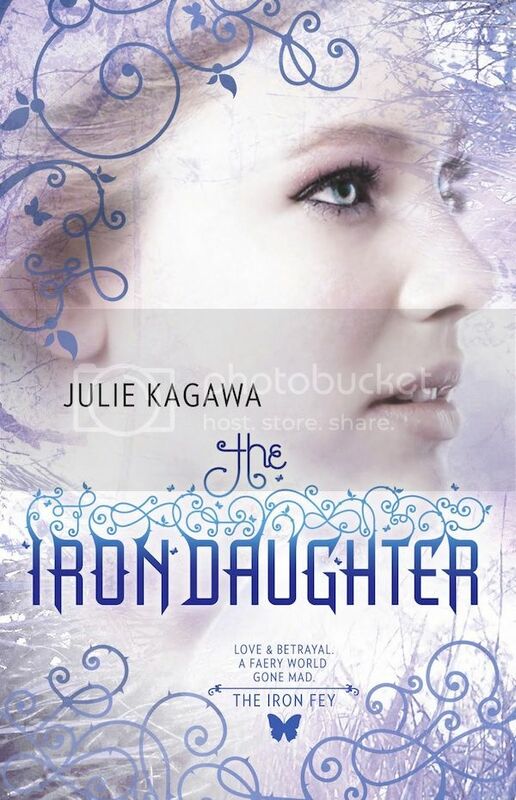 The Iron Daughter by Julie Kagawa is the second book in the Iron Fey Series. The review for book one, The Iron King can be read here. In the first book Megan Chase, half human, and daughter of King Oberon, the Summer King, rescued her four year old brother with the help of Puck of the Summer Court and Prince Ash of the Winter Court by defeating the Iron King. "The Iron Daughter" takes place after she has returned her brother home and as Prince Ash comes to collect Megan and bring her to the evil Queen Mab, as per the agreement she made to Prince Ash for his assistance in rescuing her brother. Megan is imprisoned at the Winter Court for an undisclosed amount of time while Prince Ash does not even acknowledge her presence. Any hint of feeling and warmth he had previously shown her was gone. Was it all an act? Or is he protecting her by shielding his feelings for her. While there, Megan uncovers a plot to steal the sceptor that controls the seasons. Without it being passed between the Summer King and the Winter Queen on schedule, all of Faery is disrupted. The Summer King and Winter Queen still don't actually believe the Iron Kingdom exists while the Iron King uses that to bring Summer and Winter to the brink of war. It is up to Megan Chase, Prince Ash and Puck to find the sceptor and return it to the Winter Queen before war breaks out. Will they be successful in stopping the war in time? And what startling act gets Prince Ash banned from the Faery Realm for all eternity? This sequel is every bit as exciting as the first book, where once again I got very little sleep since I couldn't put this book down! As far as fantasies go, this just cannot get any better. I adore the charcter of Ash and his arc. And in this book he's just so so *flails arms* ASH-like!!! LOL.